The Hong Kong-based airline Cathay Pacific, winner of every conceivable comfort and efficiency award, continues to issue a version of their popular All Asia Pass but for now, it's only operating from Japan. This pay-once regional airline ticket offers you a chance to visit from six to eight of Asia's hottest destinations for up to 30 days of travel, at a low starting price of Japanese Yen 101,000 (approximately US$1,200). We fell in love with this pass when, in 2011, it allowed you to fly from the United States to any two of 24 Asian cities within a three-week period f$1499. Those days are gone. 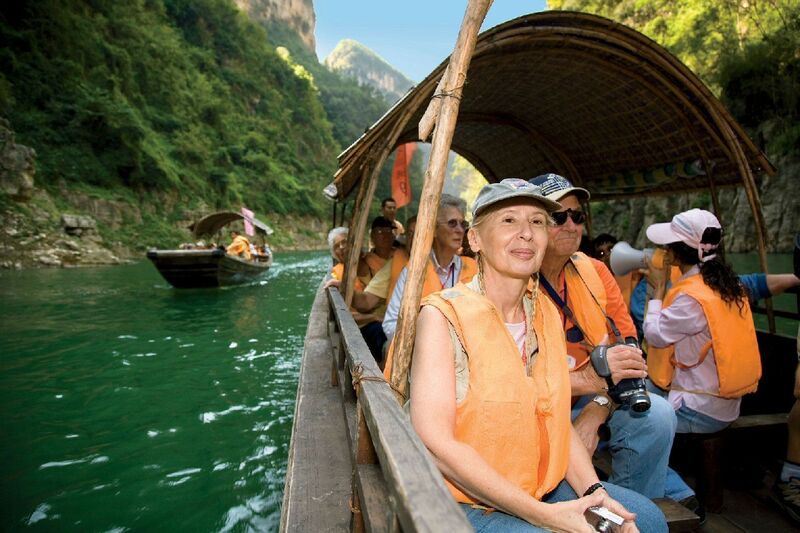 Cathay Pacific is now focusing on Visit Asia Passes and other travel-within-a-single-continent fares, in partnership with the One World Alliance, and you well may find a value using this offer if you're headed around Africa or Europe. We also found an offer that will work well for some Asia travelers: a Japan based All Asia Pass that has a travel period that runs from September 16, 2012 to April 25, 2013 but that gives you New Years (Western and Asian), Presidents Week, spring break and Easter break to travel. For passengers originating in major Japanese airports, there is a choice of up to eight destinations in South East and North East Asia, including Thailand, Vietnam, the Philippines, Cambodia,Taiwan and South Korea. To be more specific so you can decide if this is the right choice for your Far Eastern jaunt, departures must be from one of these airports in Japan: Tokyo(Narita and Haneda), Osaka, Nagoya, Fukuoka, Sapporo, or Okinawa. All flights are economy class and the price does not include airfare from the US. All Asia Japan Pass holders can fly to Bangkok, Phuket, Chiang Mai, Singapore, Kuala Lumpur, Penang, Kota Kinabaru, Jakarta, Denpasar, Surabaya, Manila, Clark, Cebu, Ho Chi Minh City, Hanoi, Phnom Penh, Beijing, Xiamen, Shanghai Pudong, Shanghai Hongqiao, Sanya, Kunming, Guangzhou , Fuzhou, Chengdu, Guilin, Qingdao, Seoul, Bunsan, Jeju, Taipei, Kaohsiung or Taichung. However, there are many rules, such as travel between Taipei and Seoul won't fly; and you can only visit a city once, except for Hong Kong where you make many connections, since the service is provided by Cathay Pacific and Dragonair. More information about this special Japan-based All Asia Pass is available at the Cathay Pacific Holidays website. Note that this offer is only valid for non-Asia residents and all prices are exclusive of applicable taxes.